Terrace Thursday = relaxation! Get a jump start on the weekend with great food, drinks, and views from the rooftop. The featured wine and beer of the week will be 1/2 price and we will, of course, have our signature margaritas nice and cold for you! Invite your friends to meet you there for a good time on the farm. Pups are welcome on a leash. Grab a bite to eat from GT Fusion food truck! 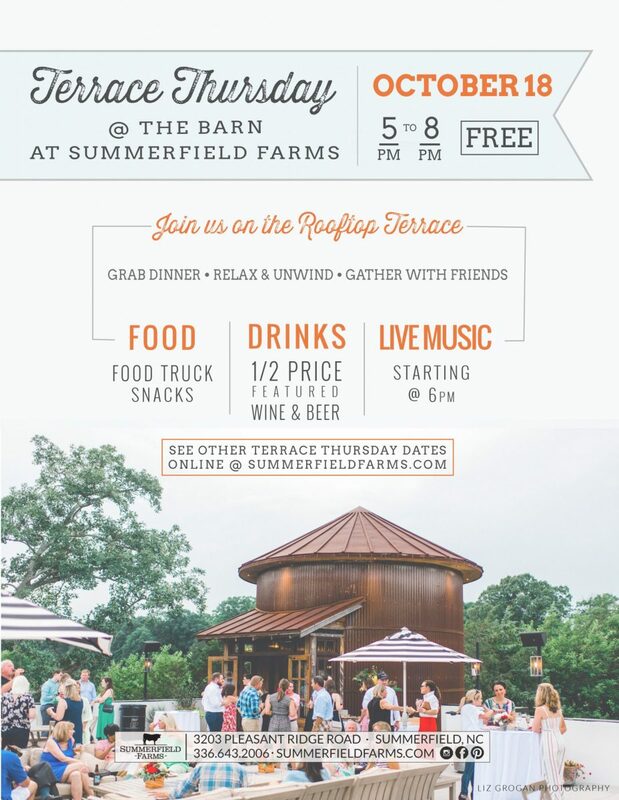 NEW TO TERRACE THURSDAY: Live Music starting @ 6pm. Listen to local band The Rockin’ Rev while you enjoy your cold drinks and delicious food.